An annual returns, sometimes called a Recapitulation, is an annual report from a Lodge/Chapter to the Grand Lodge/Chapter. The report contains both a summary and detail of the changes that have occurred in the Lodge during the past year. Nearly every Jurisdiction that uses MORI uses the Annual Return process. What are the details included in the Annual Return? The details of the Annual Return vary considerably from Jurisdiction to Jurisdiction, but at its core, an Annual Return details the Gains and Losses of members over the course of the year. How does the summary math work? 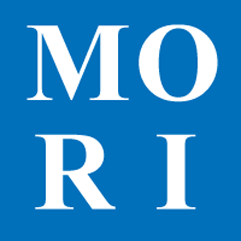 To calculate the summary, MORI uses the final number from the previous Annual Return as the beginning number for this Annual Returrn. MORI then adds the Gains and Subtracts the Losses. That gives MORI a tentative final number (NOT SHOWN, but it would be 187 in the example.) MORI then counts the number of member in the Lodge as of the end of the year (SHOWN.) The difference between the calculated total and the true final number is expressed as a variance. Why would there be a variance? Removing duplicate records from the database will create a negative variance as the member was counted last year but is simply gone this year. Entering a missing record will create a positive variance. If a missing record is entered into the database and the addition is pushed back to the year the record should have been added, then you'll have a record which should have been counted last year, but wasn't. Correcting a member's history can create either positive or negative variances depending on how it was corrected. For example, if a member was counted last year but should have been NPD two years ago, that will cause a negative variance as he should not have been in last year's final number and isn't a loss in this year.